I have something very exciting for everyone!! Kimberly Derting was kind enough to allow me to be apart of her Street Team for The Pledge. 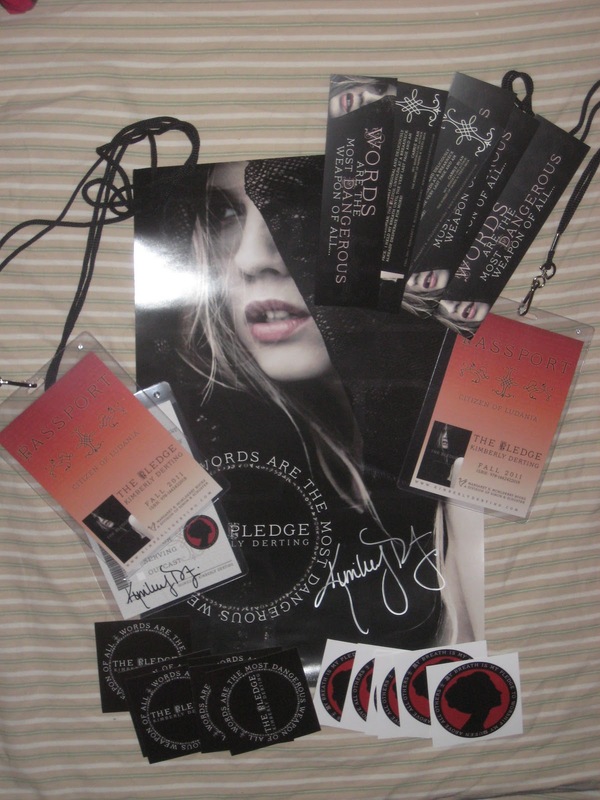 That means I have some awesome swag to give away! Here's what's going to happen, two people are going to win some awesome swag and one person will win a paperback copy of The Body Finder plus some swag. So how do you win? Easy! Just enter the Giveaway by filling out the Rafflecopter form below! Tons of fun stuff in the swag. I would love to read the book. Thanks for the giveaway! Thank you so much for this awesome giveaway and no I would not choose to have his Talent. This sounds like a really great story. Great choice. I think her sisters ability is better!! Thanks for a great giveaway! Loved The Pledge and the Body Finder series. I think I would like to have Charlie's talent. :) Then you could understand everybody.